I’m back for a brief visit during my internet vacation to wish everyone a safe and happy New Year’s Eve! Regular posting resumes in a few days but I want to close the year with this fun collage of 1st day photos along with some exciting news about my participation in a group exhibit of iPhoneography debuting today on Move the Chair. Every year John, Ryan and I take a selfie of the three of us on January 1st to note the start of a new year but for 2014 we went a little further and decided to take a photo on the first of every month. The result is a collage of 12 portraits capturing us at the beach, hiking, laughing in the kitchen, and more than a few snapped at the last minute after almost forgetting it was the 1st again and time for a new picture. Take 12 is also the theme of a new photo exhibit hosted by the wonderful Meg at Move the Chair. If you are familiar with Meg’s work you might know she regularly posts 12 new photos taken on the 12th of the month but her December entry is a big one. Think 12 X 12 kind of big. Meg invited 12 photographers from around the world to document their experiences on 12/12/14 by sharing 12 photos and the only guideline was that every image had to be taken and processed on a mobile device. The end results are a lot of fun to see and I was thrilled to take part in such an inspiring project. I hope you’ll all swing by Meg’s blog to take a look at the talented pool of bloggers and photographers featured on her Take 12! December 2014: An Exhibit page. I want to thank each and everyone of you for all of your participation, comments and support through my second year here at Northwest Frame of Mind and tonight I’ll raise a glass in “cheers” to our next year together. Here’s to 2015! I’ve really enjoyed your support of my blog as well. Here’s to 2015! I’m glad you like our selfies, Jude! Having you as such a big part of the 1D1W project was wonderful and I hope your New Year’s Eve has been fun and happy! What a fantastic idea, Lisa! I may steal this. (although my entire family would almost never be in the same first day pic, given we’re a little spread out these days…) Love this though! I hope you give it a try, Nancy! 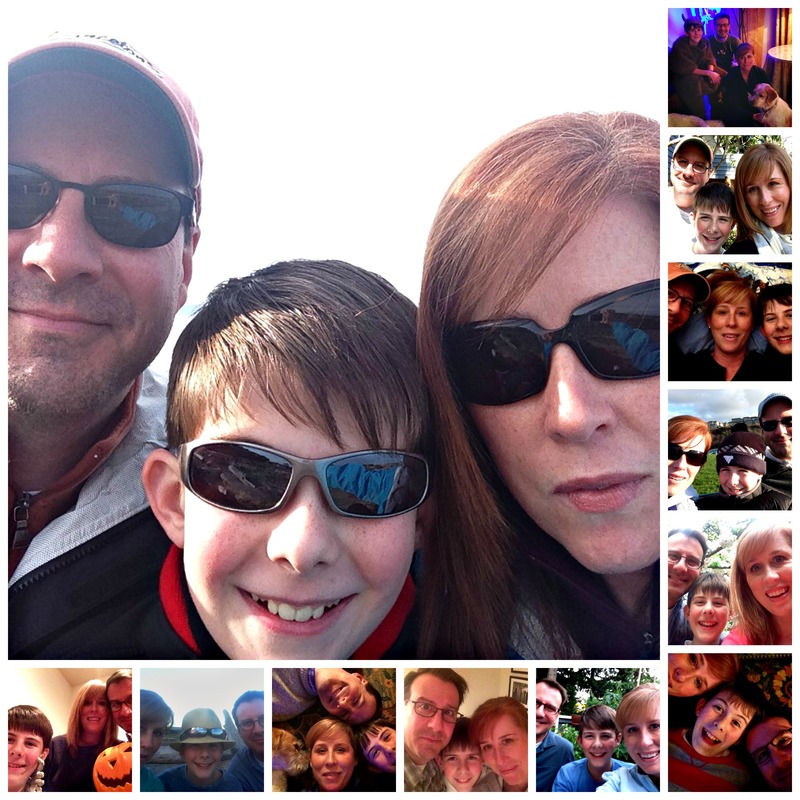 There are so many creative ways the photo part could work when you aren’t together (Skype screen shot, collaged individual selfies, cut and paste…) and it’s a blast to look back at the end of the year and remember what was happening during those captured moments. Happy New Year! Happy New Year Lisa. I’ve so enjoyed your photos in 2014 and look forward to seeing more this year. I hope you and your whanau have a great year with much joy and successes in all you set out to achieve. Cheers, Su. Sounds perfect. 🙂 We have plenty of sun but it’s just 2 degrees above freezing… brr! Your blog is a pleasure to read, D’Arcy and I appreciate every one of your visits here! Happy New Year! All the best to you, Archita! Happy New Year! Very cool Lisa. Quite a collection for the year. Thanks, Dad. 🙂 We’ll do a new one for 2015. It is always amazing to me that you can take such great photos with your phone. I did love the Macy’s Star. It is fitting for the month of December. The gum wall was interesting – I don’t think I’ve ever seen one of those 🙂 Happy New Year! I hope you enjoy 2015 more than any othe year, Lisa !! Thanks, M-R. 🙂 We started our 2015 selfie collage today in freezing temps by the water! Do you all good ! Wish you and your family an wonderful 2015!! 🙂 Am looking forward to your next projects and posts. Thanks so much, Sue and I can’t wait to see what you have to share with us in the coming year as well! What a great tradition! Wish I had thought of it when my children were young ! You look marvelous darlings! You really should! They grow and leave SO SOON. I hope this year will be even better for you than 2014!